Ishikawa Prefecture is a little off most tourist itineraries of Japan, since it’s located along the north coast of the main island of Honshu. If you’ve got the time to spare, though, the capital city of Kanazawa has more than enough attractions to fill a day or two. The city is home to Kenrokuen, considered one of Japan’s top three gardens and recently voted to be one of the 30 best sightseeing spots in the country. The Omicho Market is also a great place to enjoy delicious seafood, including the shrimp that Ishikawa is known for. Or, if neither of those pique your interest, there’s also the ninja temple, whose layout is said to be so confusing that few could make it out without a guide. Although the official name of the structure is Myoryuji, literally the “oddly built temple,” it’s better known as Ninja-dera, the ninja temple. First constructed in the 16th century, the building was moved to its current location in 1643 by Maeda Toshitsune, the warlord who controlled Kaga Fief in present-day Ishikawa. As an official Buddhist temple, Myoryuji’s ostensible purpose was as a place of worship. In actuality, though, it served as a secret Maeda stronghold. By 1643, the civil war that had ravaged Japan for centuries had largely died down, with the Tokugawa shogunate having suppressed its political and military rivals. Still, the peace between the shogunate and the regional warlords was an uneasy one. Maeda feared the Tokugawa forces may one day come to separate him from his gold-rich lands, and placing Myoruji near Kanazawa Castle gave him a safe-house hidden in plain sight. Ninja-dera was never home to a clan of fearsome shadow warriors, however. Instead, its name come from the numerous traps and tricks incorporated into its design to help repel intruders. The deception starts before you even enter. From the outside, Myoryuji appears to have two floors, in keeping with the feudal era restrictions that prohibited buildings other than the town’s castle from being over three stories tall. In actuality, though, the complex is built with a four-story frame, and the numerous spaces between the floors give it seven separate levels. Myoryuji’s 23 rooms are connected by an intricate network of no fewer than 29 staircases. These aren’t all ordinary staircases, either. 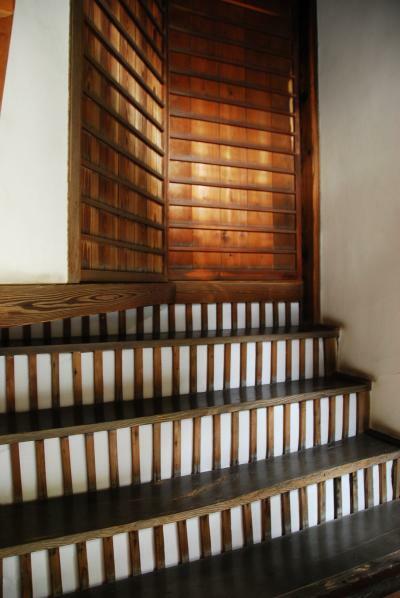 For example, take a look at the wooden grid at the front of these steps. The white sections are actually made of paper. As intruders run up the stairs, guards positioned beneath the floorboards could stab at their feet. Other staircases lead downwards to pit traps. Once the attacker falls into it, his slide continues to a room where a team of defenders is waiting to finish him off before he can recover from the shock and properly defend himself. 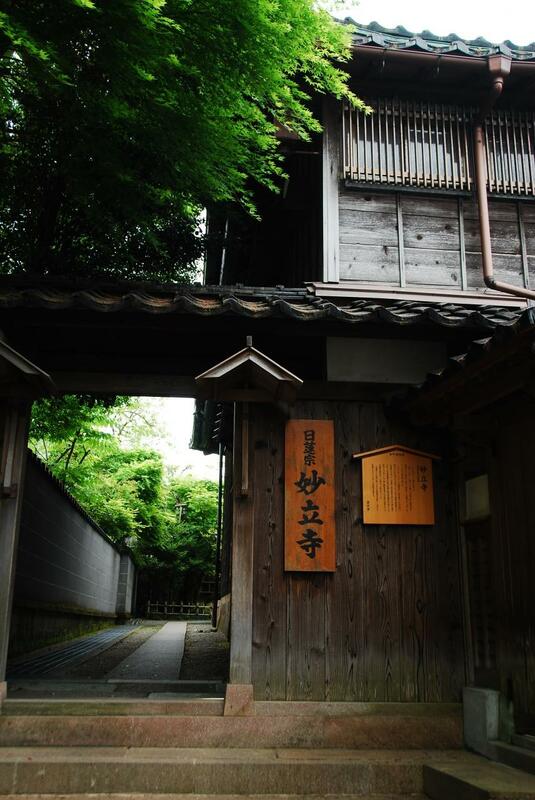 As you’d expect from a building constructed at this point in history, many of the passages are connected by traditional Japanese sliding doors. Unlike normal doors of this type, though, many of Myoryuji’s automatically lock after being shut and can only re reopened from one side. This allows defenders to quickly block their adversaries’ advance or trap them in a confined space. As is the case in many countries, centuries-old architecture in Japan tends to be built for the shorter stature of the people from bygone eras. If the room shown in the following photo looks to you like it has a particularly low ceiling, though, you’re absolutely right. This purposefully cramped design was chosen in order to give assailants less room in which to swing their weapons, which would put them at a disadvantage against guards who were already aware of the low clearance and adjusted their tactics accordingly. Even Myoryuji’s well is more than it appears to be at first glance. At the bottom of the 25-meter (82-foot) shaft is a passage that’s said to connect with Kanazawa Castle, although no one who’s alive today has gone deep enough into the tunnel to confirm this. It’s said that once you enter Myoryuji, its layout is so confusing you won’t be able to find your way out. Thankfully, the temple offers guided tours, which are offered between 9:30 a.m. and 4:30 p.m. Reservations are required though, which can be made by contacting the temple by phone at the number listed on its website here up to three months before the date of your intended visit. Perhaps the most mysterious thing about Myoryuji, however, is that no one knows the identity of the architect that designed its defensive features. Given the detailed written records throughout Japanese history that chronicle the accomplishments of scholars, statesmen, and strategists, this sort of anonymity is especially rare. Thankfully, not knowing who was responsible for the Ninja Temple so many years ago doesn’t mean visitors can’t still marvel at his or her craftsmanship today.